Lions at home, lambs abroad - Why EPL clubs have struggled in Europe? The influx of TV money in the Premier League has undoubtedly made it more competitive, but has not translated into success for English clubs in Europe’s Premier Football competition. To label the 2015-16 English Premier League season as “surprising” is tantamount to employing euphemism at its very best. We are 24 gameweeks into the new season, and one look at the league table at this present juncture is bound to shock even the most-seasoned football aficionado. Leicester City are top of the Barclays Premier League; last year’s champions Chelsea are in the midst of a relegation scrap; West Ham United and Stoke City currently occupy European places; and newly-promoted sides Bournemouth and Watford are holding their own against the traditional powerhouses in the country. So the question arises – what has brought about this sudden transformation in the fortunes of the so-called “lesser sides” in the Barclays Premier League? The simple answer - Money. In February last year, the Barclays Premier League announced a staggering £5.136 billion TV rights deal with Sky and BT Sports. While the Sky network paid £4.2bn for five TV packages, its rival BT Sports paid £960m for two at the auction for a period of three years starting from 2016. The old TV deal (2013-16) worth £3.018 billion was a landmark in itself, but the new one has propelled the Premier League to another level. As a result of the TV deal, some of the lesser known clubs in the Premier League have significantly more spending power than most of Europe’s stellar names. Richard Scudamore, the Chief Executive of the Barclays Premier League, commented on the blockbuster deal saying, “Burnley (now relegated) are now, economically, bigger than Ajax”. In the past two summers, many of the mid-table clubs in the Premier League prized away several top players from some of the biggest clubs in Europe. West Ham United snatched away star man Dmitri Payet from Marseille; Stoke City attracted the services of Xherdan Shaqiri (ex-Inter Milan and Bayern Munich), Bojan Krkic (ex-Barcelona) and Ibrahim Afellay (ex-Barcelona); Newcastle managed to procure the signature of Georginio Wijnaldum from PSV Eindhoven; Crystal Palace prized away Yohan Cabaye from French champions Paris Saint-Germain; Leicester City signed Swiss International Gokhan Inler from SSC Napoli; and West Bromwich Albion snapped up Salomon Rondon from Russian champions Zenit St. Petersburg. With such an exotic breed of quality individuals spread across clubs in the Premier League, the number of “upset” victories for some of the so-called “lesser” sides this season should come as no surprise for football pundits. Newly-promoted Bournemouth beating champions Chelsea at Stamford Bridge, Norwich City upsetting Manchester United at Old Trafford; Watford overpowering Liverpool at Vicarage Road and Stoke City demolishing Manchester City at the Britannia stadium are some of the “freak” results that have caught our attention this season. While the continued influx of TV money into the Premier League has firmly cemented its position as the most exciting football league in the world, it has not translated into success for English clubs in Europe’s Premier Football competition – the UEFA Champions League. England’s elite clubs – Manchester United, Chelsea, Arsenal, Manchester City and Liverpool have struggled to make an impact in the UEFA Champions League over the past 5 years. The 2011-12 season was the last time that an English team (Chelsea) managed to reach the final of the Champions League. It wasn’t always the case though. English clubs have performed admirably in Europe over the past decade or so. From 2004-05 to 2011-12, the final of the UEFA Champions League featured atleast one team from England (except 2009-10). Only Spanish teams have won more European trophies than English clubs since the turn of the millennium. Despite La Liga’s financial inferiority to the Premier League, Spanish clubs have consistently managed to reach the latter stages of Europe’s premier football competition. Since the turn of the century, FC Barcelona (4) and Real Madrid (2) have lifted the European trophy six times. German champions Bayern Munich have participated in 3 Champions League finals in the last 6 years. Even the Italian Serie A, grappling with financial turmoil, managed to have a participant in last year’s cup final in the form of Juventus FC. The reasons why English clubs have failed to perform in Europe over the last few years are manifold. It is undeniable that Barcelona, Real Madrid and Bayern Munich have established a firm stranglehold over Europe’s most prized possessions. These 3 European giants are able to attract the crème de la crème of world football. Despite having loads of cash at their disposal, top Premier League clubs are unable to attract the very best football players on the continent. It is notable that the Fifpro World XI 2015 (FIFA Team of the Year) features 9 players from Barcelona, Real Madrid and Bayern Munich. Perhaps unsurprisingly, there are no players from the English Premier League in FIFA’s best XI for 2015. However, is it possible that the over-the-top TV money circulated in the Premier League has influenced the performances of England’s elite clubs in the UEFA Champions League? Maybe. All the TV money coming into England has undisputedly reduced the gulf in class between the top and bottom clubs in the Premier League. The level of competitiveness of the league can be very well gauged from the realization that no team in the Premier League is easy to beat. 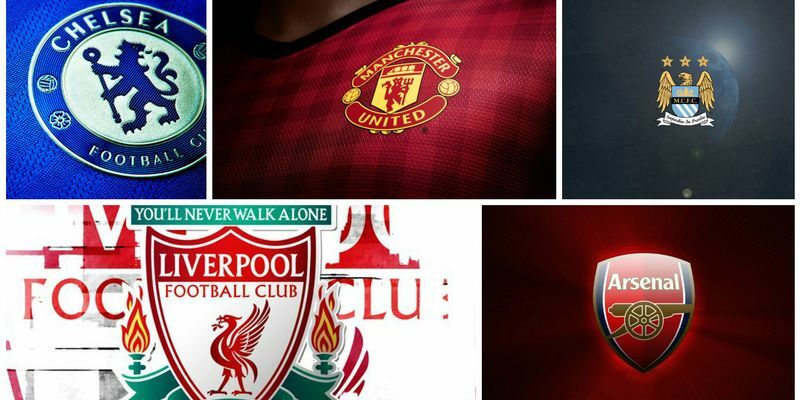 Each team has enough quality at their disposal to upset any of the “elite” clubs on their day. They can no longer expect some of the lesser teams in the league to just roll over against them. While non-English clubs have the freedom to rest their key personnel ahead of their European assignments, England’s top clubs can barely afford to do so. This has had a direct impact on their level of performances against top clubs in Europe since the TV deal has kicked in. Furthermore, the substantial increase in transfer budgets of English clubs has shifted their gaze away from the country’s grassroots programmes. Players coming out of Catalonia’s much vaunted La Masia academy have formed the core of FC Barcelona’s all-conquering side in the past decade. Lionel Messi, Andres Iniesta, Victor Valdes, Gerard Pique, Xavi Hernandez, Sergio Busquets, Jordi Alba and Pedro Rodrigues are all La Masia graduates who have shone for FC Barcelona over the years. Similarly, Bayern Munich and Real Madrid squads are rife with the home-grown German and Spanish talent. However, English clubs in the past decade have generally tended to overlook the massive wealth of local talent at their disposal and preferred instead to dive into the International transfer market. Not only has it contributed towards the stunted growth of local talent in the English academies, but has also massively increased the dependency of English clubs on overseas imports – the best of whom ply their trade outside the English league. As a result, English clubs end up paying huge sums of money to acquire the services of 2nd grade International imports. Only a handful of players in the Premier League (the likes of Sergio Aguero, David Silva, Alexis Sanchez, Mesut Ozil, Eden Hazard and David De Gea etc.) can be genuinely labelled as World Class. Despite not being able to sign the best players on the continent, the English clubs end up spending more money than their European peers. Digest this: Manchester City (£142.36m), Manchester United (£97.75m) and Liverpool (£78.34m) together have spent exactly twice the money last summer than Real Madrid (£62.65m), Bayern Munich (£60.2m) and FC Barcelona (£35.7m) put together. The difference in class between the two groups is not hard to gauge. On the whole, the financial impetus has made the Premier League arguably the most-exciting, entertaining and perhaps exhilarating league in the world. However, English clubs would be well advised to spend all that money in a more judicious manner by investing a reasonable part of that into developing their academies and strengthening their grassroots programmes. Only then will they be able to truly to get a foothold in the pantheon of Europe's greatest clubs. Also read, what Troubles Manchester United after Sir Alex’s retirement. And, Arsenal in 2007-08: When the trophy drought should have ended. Fanatical Argentina aficionado. Devoted to Kun Aguero. Addicted to Fantasy Football. Albiceleste Para Siempre!